When I heard a boy crawled through a barrier and fell into a moat at the Cincinnati Zoo’s outdoor gorilla center, leading the gorilla who picked him up to be shot, I thought for sure the boy was white. It was a midwestern zoo in a country that is approximately 63% white. What are the chances it wasn’t? When I found out the family was black, I knew the racism would come. I was even giddy about it. Launching a criminal investigation into the incident and publicizing the record of the parents only reinforced how delicious the onslaught of bigotry would be. Upon much reflection and discussion, it seems that this incident may indeed warrant a criminal investigation, but it is not the only one. The boy went under a railing and through wires to get to the moat wall and then fell into the water. For me, a childless 34-year-old male, that’s too much time passed to not notice what’s up with my 4-year-old. That kind of adventuring could not happen instantaneously nor spontaneously. One doesn’t take their attention away from their toddler momentarily, and they go under a railing, through wires, in order to fall into a moat, during that moment. I always choose a person’s life over an animal’s. Harembe would’ve grown to be between 4 and 5.5 feet tall and 400 pounds. You can’t take any chances with a specimen that powerful. What’s tragic here is that it looks like Harembe was protecting the child. Michelle Schwab was sentenced to one year’s probation, including parenting counseling, after she dropped her son into the cheetah exhibit at the Cleveland Metroparks Zoo in April. This seems warranted as this mother put her kid on a railing designed to keep people out of a 15′-foot-deep pit filled with carnivores, let go of him, and then turned her back. This happened 20 years ago in Brookfield, Illinois, just outside of Chicago. It seems, similar to Harembe, Binti Jua here was helping protect the child that had fallen into the gorilla exhibit. There was no criminal investigation of the parents nor release of their criminal records. Six-year-old Joey Welch was attacked in 2013 in the Arthur R. Marshall Loxahatchee National Wildlife Refuge in the area of Boynton Beach after falling into shallow waters at the edge of a road in the park. While his father was signing up for the canoes, little Joey ran down a hill and landed facedown in the water. There was no criminal investigation of the parents nor release of their criminal records. So we have three very similar cases. One where it seems like charges were warranted because it just seemed purposeful. 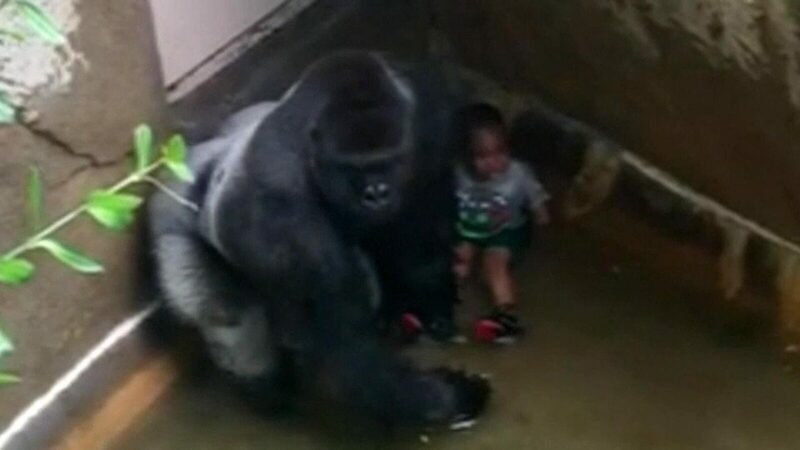 A second that is almost identical as the result was the same (Gorilla was shot, child was ok). The third case was a bit different as it occurred in a wildlife refuge which did not have the physical barriers. These were three white families, yet only the most egregious incident even warranted a criminal investigation. I’m all for this not being rooted in racism, but in combination with the reaction to the family on social media and the release of their criminal records, it’d be impossible to say race is not a factor here. Still, I think it’s important to investigate all of these incidences where “negligence” could be a factor instead of just ones that are buoyed by social media. I don’t think it’s racism here, but an argument could certainly be made that it is. 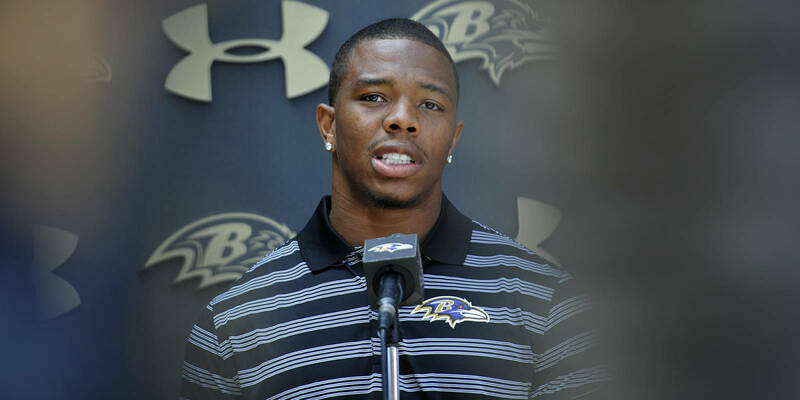 Ray Rice Speaks: Who Will Listen? Here are some links to web pages that we link to simply because we consider they’re really worth visiting. Please take a look at the internet sites we follow, such as this 1, as it represents our picks from the web. See how much you could get for your home. Hey there! I recently noticed your website and I certainly appreciate it. I really like to communicate about omega xl from time to time. Great to be all around, many thanks a good deal! Right now it seems to be like Movable Type is the best running a blog platform out there proper now. (from what I have go through) Is that what you are using on your weblog? Hey! I know this is relatively off matter but I was wondering if you realized the place I could get a captcha plugin for my remark sort? I’m employing the exact same weblog system as yours and I’m getting troubles locating 1? Many thanks a lot! Hey! I know this is somewhat off subject but I was asking yourself if you realized in which I could get a captcha plugin for my comment form? I’m using the identical weblog system as yours and I’m obtaining problems finding one? Thanks a great deal! Thanks for an additional educational net site. The location else could I get that sort of details prepared in such an perfect technique?I have a enterprise that I’m just now running on, and I have been at the look outfor this sort of information. Good way of detailing, and fastidious write-up to get details regarding my presentation topic matter, which i am heading to express in college. Rather! This has been a really great report. Thanks for providing this information.